Webster is a small town in the northern area of New York State. Bordering Lake Ontario, Webster offers visitors and residents some of the most beautiful sunrises and sunsets in the entire state. This town has approximately 42,000 residents and provides plenty of things to do, especially during the gorgeous summer weather. The shining waters of the lake make it a perfect place for swimming, fishing, boating, and skiing. Although Webster is a small town, there are plenty of great emergency dentists available to care for your dental emergency. The Emergencydentistsusa.com website is the perfect location to begin and end your search for a new emergency dentist. Just log onto the website and scroll through our hand-selected list of Webster emergency dentists. Click on the dentist that you choose and view information about the dental office. Here you can find office hours, driving directions, and even payment options right in a single location. 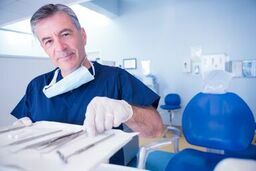 The Emergencydentistsusa.com website also offers all of the contact information that you need to set up your first appointment and continue on the road to great dental care. When you do not have access to the internet or simply need a little more help choosing a Webster dentist, call our toll-free dentist finder hotline. Speak with a caring dentist finder agent who is standing by to help you select the dentist, make your first dental appointment, and even get driving directions. Remember to bring your dental insurance card and your photo ID card with you to the dental office. Try to arrive at least 10 to 15 minutes early so that you can fill out any necessary paperwork and ask questions if you have them. Take a moment to scroll through our convenient listing of the top three dentists in the Webster area. These dentists provide routine dental care along with emergency dental services for visitors and residents of Webster, NY. You can also view office hours and learn a little more about the dental clinics right on our list. Description: A kind and caring dentist and a comfortable atmosphere make Giangreco Family Dental a great choice for any dental emergency. Open even on Saturday to cater to anyone with a dental problem, this dental clinic provides emergency services and same-day appointments when available. You can also have your routine dental needs and cosmetic dentistry provided for at Giangreco Family Dental. Description: Committed to patient education, Dr. Pellitieri provides routine dental care, emergency dental services, and cosmetic dental procedures in this Webster dental office. A caring staff and a calm atmosphere make your dental visit a breeze. Webster Dental Arts also offers emergency services on select Saturdays by appointment. Description: Welcoming new patients and caring for the whole family make Dr. Miraglia a great dentist. A friendly staff and a relaxed atmosphere mean that this dental clinic does not aggravate that dental anxiety that many people fear. Minimally invasive dentistry and new digital x-rays bring state-of-the-art technology to a caring Webster dental clinic. A painful dental emergency can strike at any time. Rather than worrying about what is causing your dental problem, simply make an appointment with your new Webster emergency dentist. Keep in mind that if your dental emergency begins with an accident like a fall, you should visit the closest hospital emergency room or urgent care center to ensure that you do not have more serious medical injuries. Your general dentist is able to fix a broken tooth or take care of that painful abscess, but it is important to visit a medical professional if you believe you might have a more dangerous injury to your head or body. Check out the New York Dental Association website to gather your new Webster emergency dentist’s licensing and credentialing information. This information is important to make certain that your new dentist has the proper licensing to perform dental procedures in the state of New York. You can also find this information at the dental office by speaking with the dental receptionist. This is a great time to ask any questions that you might have regarding dental services and pricing.